To overcome difficulties through collaboration and understanding. To understand the international institutional architecture that emerged after WWII. 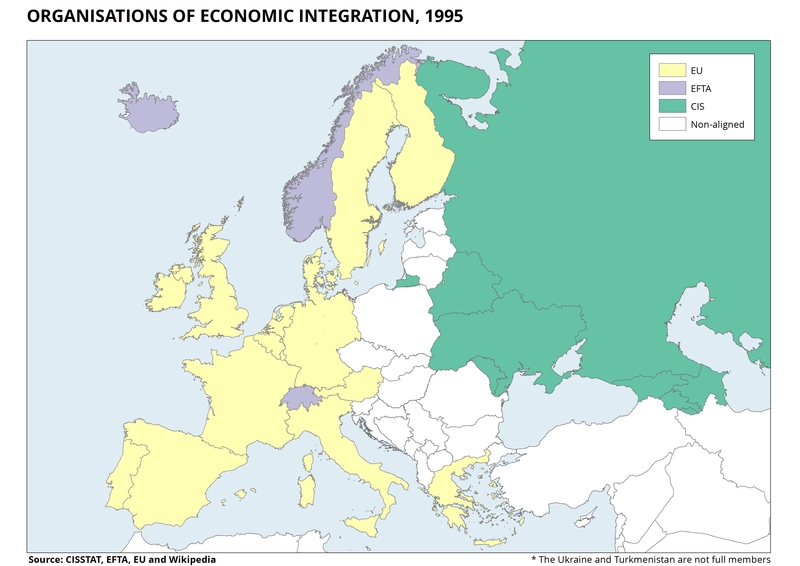 To understand the reasons that gave rise to the beginning of the process of European integration. To identify the instruments which were used in the reconstruction of Europe. 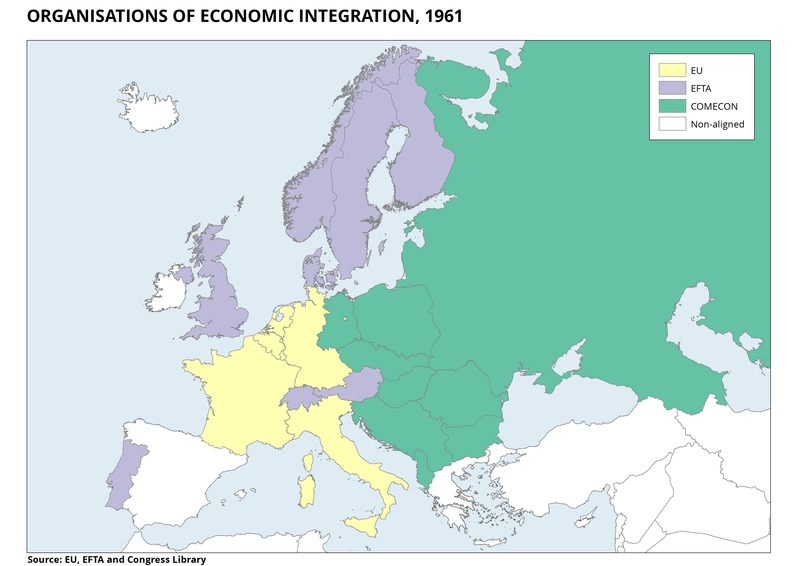 To understand how its division into rival blocs during the Cold War affected Europe. 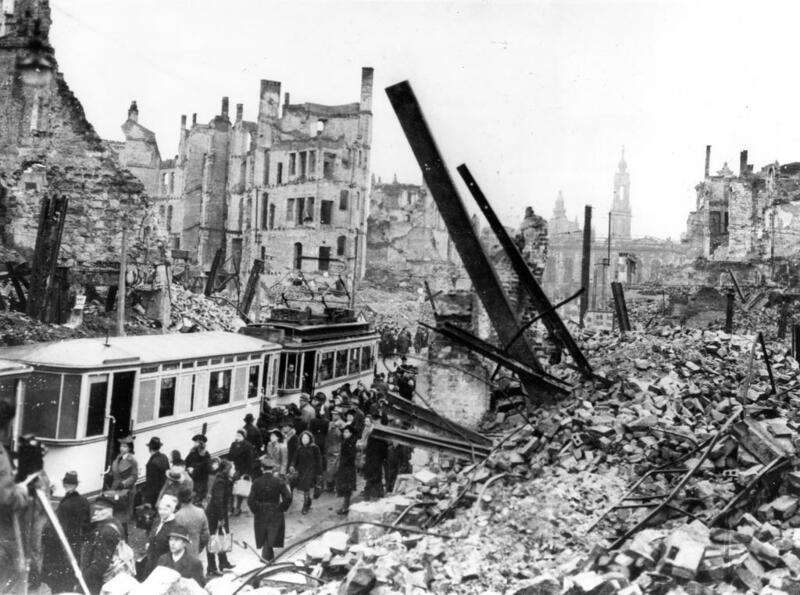 World War II (1939 – 1945) represented a deep-seated trauma for the continent of Europe. The devastation caused by the war made Western Europe’s leaders understand that the future of their states depended upon greater European cooperation and integration. 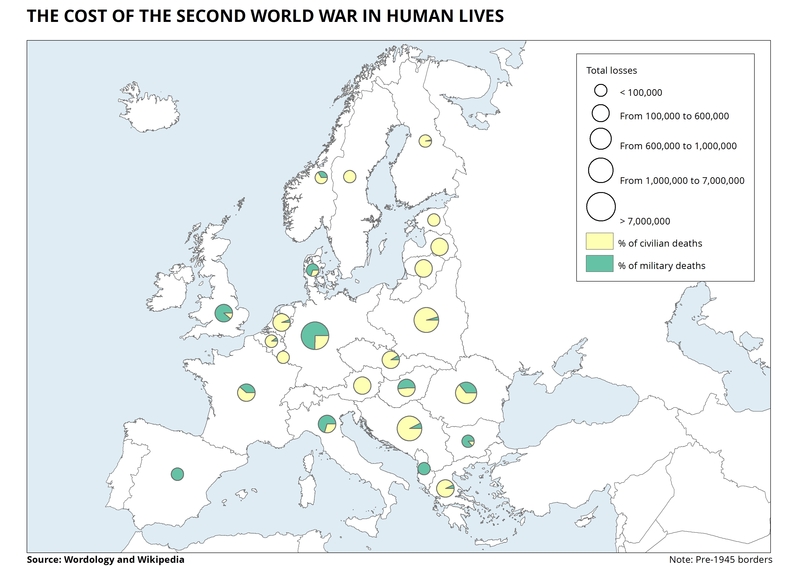 Human cost: almost 60 million deaths, with 40 million of them in Europe. The majority of the victims were civilians. 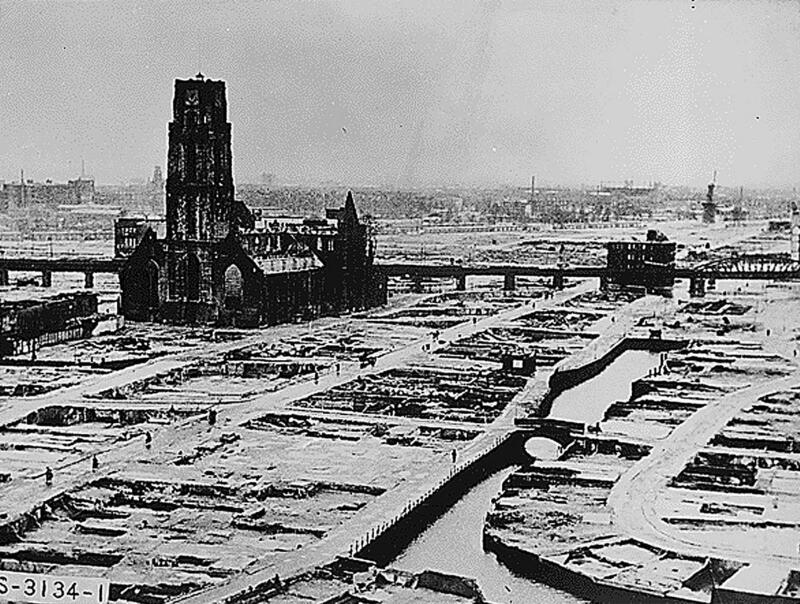 Material cost: important population nuclei and infrastructures were destroyed. 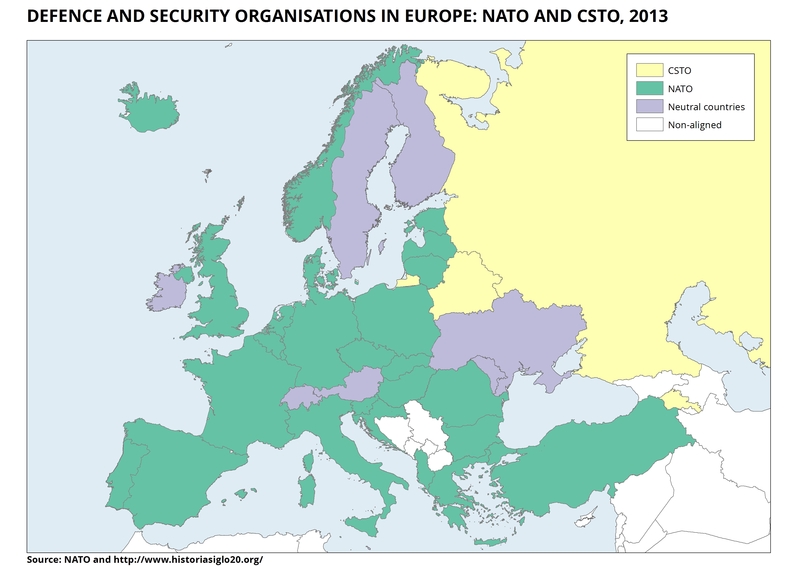 Territorial changes: numerous European territories changed hands, while others were occupied and lost part of their sovereignty. This was particularly true of those that fell under the influence of the USSR. The emergence of a “New World Order”: two great superpowers emerged after the conflict. The USA and the USSR shared out their influence at the global scale within a logical division into rival blocs. This marked the start of the period known as the Cold War. A new type of institutional architecture also began to emerge at the international level. 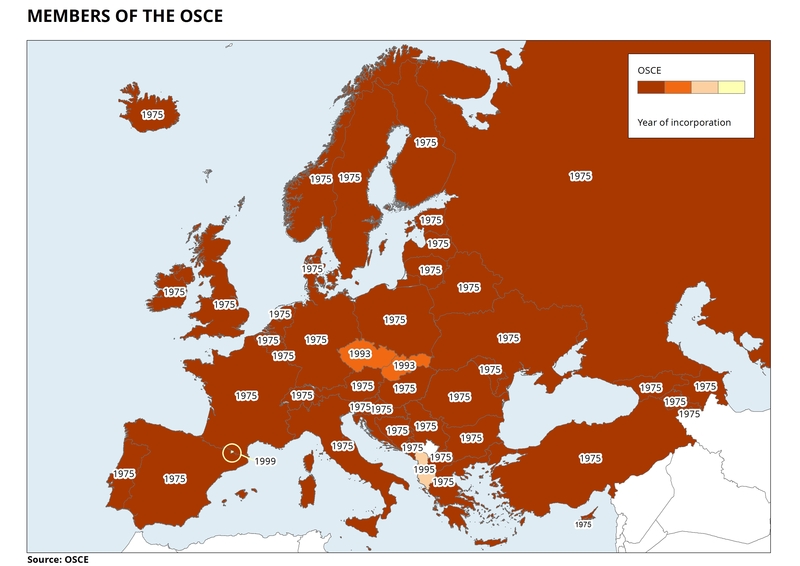 At this point, it is relevant to highlight the creation of the United Nations Organisation, The Council of Europe, the OECD, NATO, the Warsaw Pact, the OSCE and the WEU and the beginning of the process of European integration. 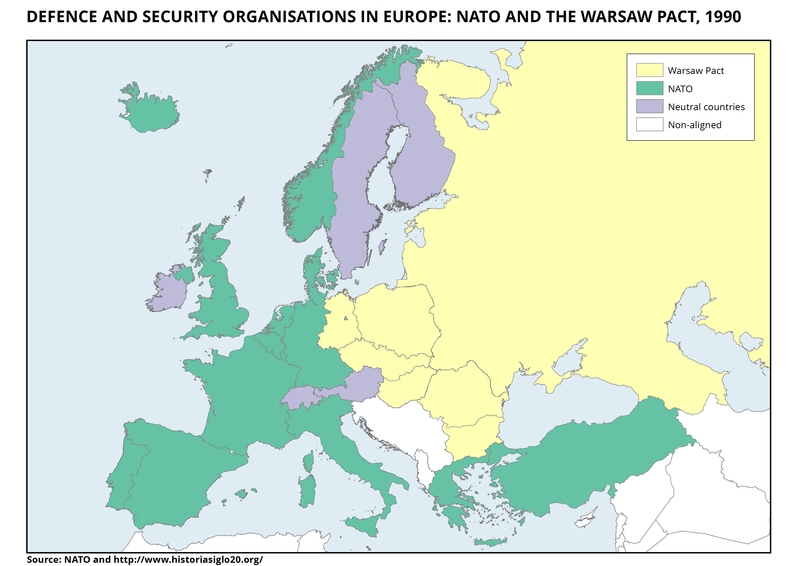 After WWII, Europe has experienced the longest period of peace in its history. Based on the arguments presented by the committee responsible for awarding the prize (en, no). Have there been any exceptions to this in Europe during these 60 years of peace? 9-12 World War 2: Children at war (en). BBC website about WWII. It also contains resources for teachers.